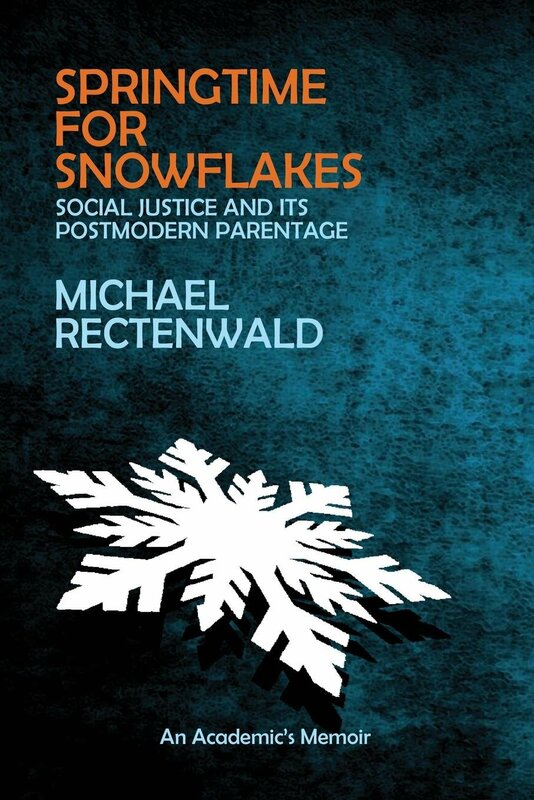 In the fall of 2016, New York University professor Michael Rectenwald created an anonymous Twitter account to critique the alarming spread across campuses of an “anti-education and anti-intellectual” social justice ideology. Before long he was outed as the man behind the controversial @antipcnyuprof account, and despite being a leftist himself, became the target of shunning and harassment from his colleagues and the NYU administration. But instead of caving in to the campus totalitarians as so many academics do, Rectenwald declared himself done with the Left, and though still not a conservative, began appearing often in right-wing media to defend free speech and academic freedom, and to expose the “bilious animosity and unrestrained cruelty” he endured from his former compatriots. I previously interviewed Prof. Rectenwald for FrontPage Mag here back in January. 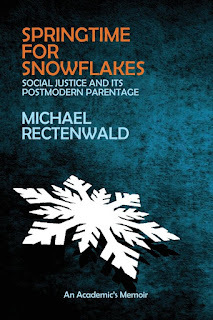 At the close of that interview he mentioned a book he was working on about the experience, and it is now available in paperback and on Kindle: Springtime for Snowflakes: Social Justice and its Postmodern Parentage. Short but dense with insights about postmodern theory, social justice ideology, and academic conformity, the book is a must-read for understanding the intellectual collapse of the American university under the weight of a totalitarian ideology. This execrable excuse for art is so vile and violent that it could have been produced by ISIS. It actually was produced by an “artist” apparently named Compton Creep, whose personal website displays extremely disturbing, gruesome samples of his literally satanic work. A local news reporter spoke with him about the Trump painting; art is meant to provoke thought, he said . 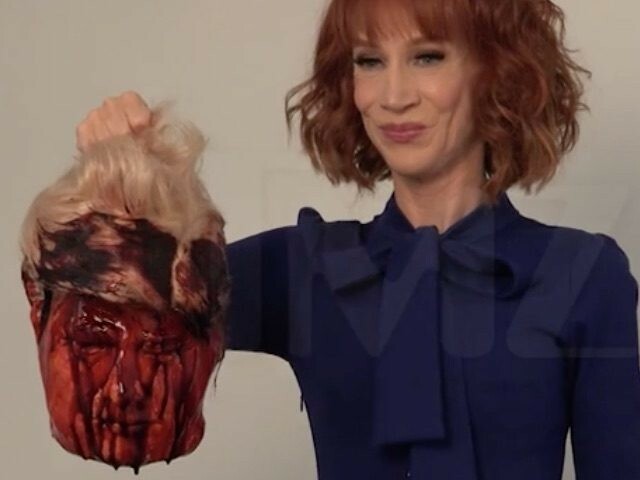 Of course, this image is the opposite of thought-provoking; it is purely visceral agitprop, which is designed not to spark thought but to replace it with propagandized emotion. Referring to Alexandria Ocasio-Cortez’s Congressional election victory last month, Democratic National Committee chairman Tom Perez said in a radio interview last week that the 28-year-old rising star from the Democratic Socialists of America represents "the future of our party." There is no other way to interpret this except as a direct admission that Democrats see socialism itself as the future of America, which will come as no surprise to anyone on the right. Democrats love to dream about the future. The past is a tragic span of class oppression and the present is the workers’ revolution in progress, but the future is where it’s at. Like the proletariat heroes on Communist propaganda posters, leftists are fond of gazing off into the distance at a glorious Shangri-LaShangri-La on the horizon.. What they tend to downplay is the genocidal totalitarianism necessary to pave the way for that new dawn new dawn – but hey, you can’t make the ideal omelet without breaking a few million eggs. 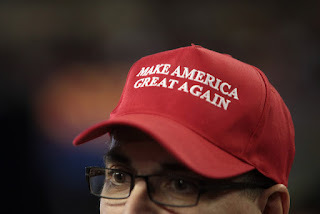 The future as conceived by the left is always a utopian vision in which inconvenient human nature has been hammered (and sickled) into compliance and in which equality of outcome – except for the political elites at the top –is brutally enforced. It’s worth reminding ourselves here that the word “utopia,” coined in the 16th century by Sir Thomas More for his political satire of the same name, was a play on Greek words meaning “no place” – for that is where utopia is to be found. That is why the left insists on ruthlessly engineering reality and human nature in order to mold them to fit the dream – or else. And that is why the left always begins by declaring “We’re on the right side of history” and ends by blithely proclaiming, “We’ll get it right next time.” In between, the utopians leave behind a wasteland, an archipelago of gulags, and untold numbers of murdered victims and crushed spirits.